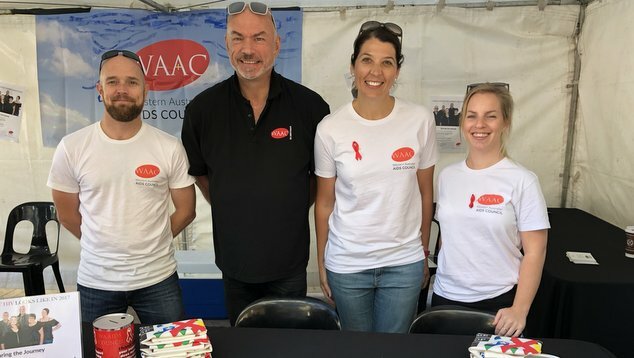 Staff and volunteers from the WA AIDS Council were out in force in central Perth this morning highlighting that it’s World AIDS Day. 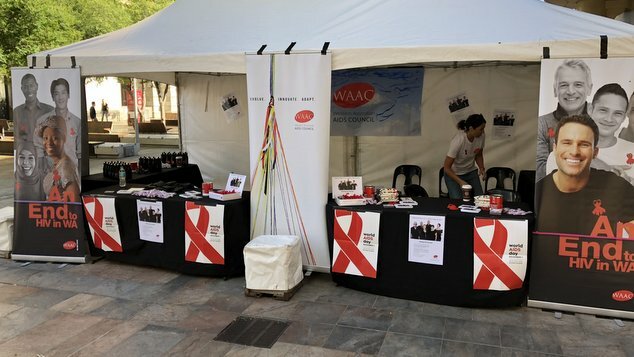 City commuters were encouraged to buy a red ribbon to mark awareness about HIV, while a stand in Forrest Place provided the latest information about HIV. 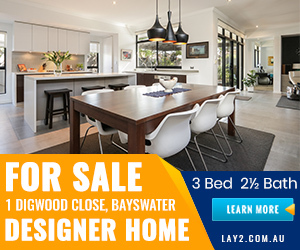 in the lead up to World AIDS Day a new campaign highlighting the reality of living with HIV in 2017 has featured on billboards across the city, and newspaper advertisements. Tomorrow advocacy group POWA will host a morning tea at the WA AIDS Memorial in Robertson Park, North Perth. This year is the 29th time the first day of December has marked the ongoing battle against HIV, the first World AIDS Day was in 1988. Today several issues related to HIV have been highlighted in the media including calls for self-testing kits to be made available within Australia, calls for improved awareness about recent developments around PrEP, and acknowledgement that many people within the Southeast Asian region, who are living with HIV, still do not have access to essential medication.